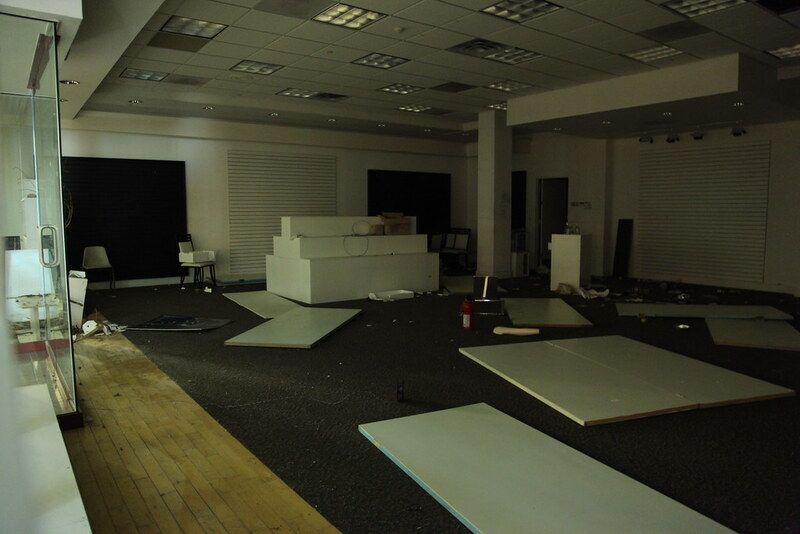 Unlike virtually every other empty store, this store was in an extreme state of disarray. It almost looked like someone had stayed here overnight (or longer). There was a lot of leftover Chinese food and empty beverage containers, both alcoholic and non-alcoholic. It can vaguely be seen in the center-right of the frame, on the floor. In the center background, chairs can be seen arranged into a row, perhaps where someone laid down overnight.